Hey Lovelies, I have some fun products for those of you who are into DIY beauty! Over the years, I’ve loved and enjoyed making my own lip balms, soap, body lotions, bath bombs, hair products, skin creams, masks, and more! It’s way easier than you think and you can find TONS of recipes online for making your own beauty products! Not to mention, save yourself a lot of money by making your own skincare and hair products! I’ve got a goodie box full of lots of products great for making your own beauty products and skincare at home! 2 WINNERS are going to win a box of DIY Beauty Goodies! See below to enter and what you can win! 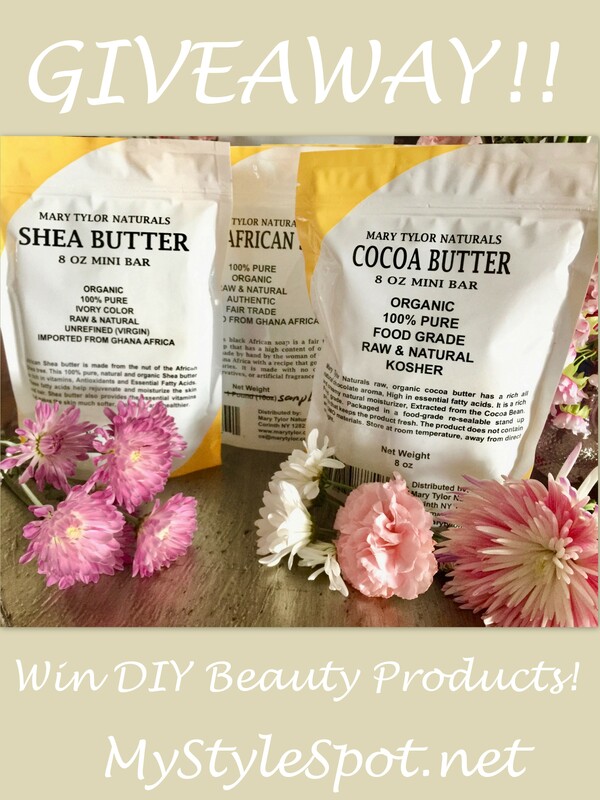 ENTER TO WIN these DIY 7 beauty goodies in the rafflecopter form below! Graduation would be a great time to have good looking skin. I love DIY Beauty products! These would help me get my skin ready for spring just in time for Easter! I could get my skin in better shape to hold the spray tans! Thank you so much for the opportunity. I love your blog! I just saw some of your YouTube videos and they are awesome. I learned a lot just watching two videos so far. Can’t wait to see more! we have a family trip coming up this spring… no major events otherwise. I would like healthy glowing skin every single day. My oldest daughter is getting married and I definitely need a little color. This would be wonderful. We have a family reunion coming up. I would love to be tan and have glowing skin. I don’t have anything special planned, but it’s good to rock a tan anywhere you go! This would be great for a wedding this spring i’m attending. Family vacation time is coming up soon. I have a wedding in August. It would be a fun project to do with my daughter to make our own beauty products.